Originally known as Farnsworth's Landing, Bordentown was settled in 1682 by Quaker Thomas Farnsworth. A natural hub of transportation for its key location on the Delaware River between Philadelphia and New York City, Bordentown flourished in the nineteenth and twentieth centuries. 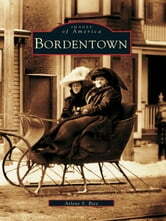 Internationally known artists, writers, and inventors called Bordentown home; industry thrived; and many private schools, including Bordentown Military Institute, were highly rated. As residents do today, the people of early Bordentown took great pride in their city. 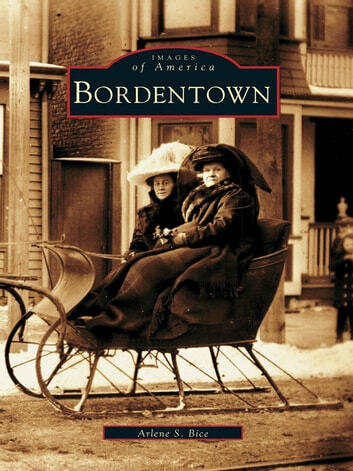 With some two hundred vintage photographs, Bordentown explores the city and its fascinating people from the mid-1800s to the mid-1900s. Thomas Paine, the father of the American Revolution, considered Bordentown his home, as did Francis Hopkinson, designer of the American flag and signer of the Declaration of Independence. The John Bull steam engine was shipped from England and assembled in Bordentown by Isaac Dripps. Joseph Bonaparte, brother of Napoleon, lived happily at Point Breeze, his estate in Bordentown. These stories, along with many others, are portrayed by the well-preserved historical photographs and informative text of this volume.